The Recliner Commentaries: Will the Real Jesus Please Stand Up? In the last 30 years scholars have spent an enormous amount of time studying Jesus of Nazareth from a purely historical perspective, and there is a good chance that the real Jesus was not like you imagine. On one end of the spectrum there is the Jesus of popular Evangelical Christianity. Some Evangelicals seem to think of Jesus as their “co-pilot” or buddy, the epitome of understanding and tolerance. They often treat him as if he were a heavenly Santa Clause who exists solely to grant their wishes. “Sweet Jesus” or “Beautiful One” are words sometimes sung in worship of him. The real Jesus was much more down to earth. He was an itinerant Jewish prophet, which meant that he and his disciples traveled from town to town along dirty, dusty, and sometimes muddy roads. Bathing was a luxury that Jesus and his disciples probably rarely enjoyed by today’s standards, and they almost certainly did not shave or brush their teeth. They were often dirty, sweaty, and stinky. It is unlikely that “sweet” or “beautiful” were among the first words that came to mind when encountering Jesus on one of those roads. In other words, the image of a nicely groomed and squeaky clean Jesus is the stuff of pious imagination. Suppose, however, we just allowed the earliest historical sources to speak for themselves. The following broad picture would emerge: Jesus was an itinerant Jewish preacher / prophet—on this virtually all scholars agree. Jewish prophets, like Elijah or Isaiah, for example, were known for calling people to turn from their sins back to God, and Jesus was no different in this respect. Among the sins he specifically condemned were “evil thoughts, sexual immorality, theft, murder, adultery, greed, malice, deceit, lewdness, envy, slander, arrogance and folly.” In Jesus’ famous “Sermon on the Mount” he even addressed sinful attitudes like hypocrisy, self-righteousness, lust, hatred and refusal to forgive others. There have undoubtedly been many fiery preachers, however, who have been lost to history. Among the things that made Jesus so memorable were the shocking claims that led to his death. 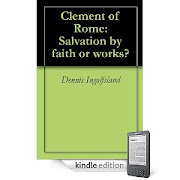 In fact, because of these claims, Jesus was accused by Jewish authorities of blasphemy and was turned over to the Romans on charges of sedition! According to our earliest sources, the blasphemy charges came from the fact that Jesus’ words and actions implied that he thought of himself as nothing less than the embodiment of God! For example in one source, Jesus is said to have claimed God as his Father saying “I and my Father are one” and “Anyone who has seen me has seen the Father.” That Jesus actually held this view is collaborated in other sources in which he is said to have claimed things for himself that in his culture were only believed to be true of God. For example, he claimed to be able to grant forgiveness of sin, and that he was “lord” of the Sabbath Day. He claimed that he would one day judge the living and the dead at the final judgment. The Jews in Jesus’ culture believed these things were only true of God. That Jesus’ contemporaries understood exactly what he was claiming is clear from the fact that on more than one occasion they unsuccessfully attempted to kill him for blasphemy because, in their words, “you, a mere man, claim to be God.” In fact, the religious leaders charged him with blasphemy at his trial. Of course the Romans who ruled the country would care nothing about Jewish religious concerns of blasphemy so the religious leaders needed something that would get the attention of the Roman governor. Instead of charging Jesus with blasphemy, therefore, they sent him to the governor on charges of sedition. Jewish people in Jesus’ time were expecting a Messiah or Christ (a “king of kings”) to deliver them from their oppressive Roman overlords. Since the Romans would probably have imprisoned or executed anyone publicly claiming to be a Messiah, Jesus was careful about how he approached this topic in public—but that is precisely who he claimed to be during his trials. The Jewish leadership, therefore, sent him to the Roman governor on charges of sedition, i.e. for claiming to be King of the Jews. The Roman governor ordered that Jesus be tortured to death by nailing him alive to a cross. We might have expected that this would be the end of the story. After all, there was nothing out of the ordinary about the crucifixion of Jewish “trouble-makers”—literally thousands of Jews were crucified in the first century. More importantly, others had also claimed to be messiahs but when they were executed their movements always died with them. That is because many Jewish people thought the messiah would deliver Israel from foreign rule. It was simply assumed that an executed “messiah” could not possibly have been the real deal. In Jesus’ case, however, not only did his followers continue to believe even after his death, but the Jesus’ movement actually grew significantly! In fact, these followers even began worshipping Jesus—something truly surprising in a monotheistic culture that believed in only one God! All of this raises the historical question of why anyone would continue to believe in, much less worship, an apparently failed messiah who had been crucified. Crucifixion, after all, was considered a very shameful way to die so getting someone to believe in a crucified messiah would be a huge obstacle, not to mention a terrible marketing strategy! It is not surprising, therefore, that most people did not believe in Jesus. His enemies thought he was blasphemer or demon-possessed or even crazy—which is exactly what one might expect of someone who made the kind of claims about himself that Jesus reportedly made. In other words, the story makes sense historically. Those who continued to believe in Jesus after his death did so for several reasons. First, they were convinced that Jesus had done phenomenal signs and wonders. There are no ancient records of anyone denying that Jesus had done amazing wonders. His enemies claimed that his miracles were magic tricks or that he did them by the power of Satan. His followers countered that no one had ever done the kinds of amazing things Jesus had done! Second, Jesus’ earliest followers believed in Jesus because they were convinced that he had fulfilled Jewish prophecies that had been written down hundreds of years before Jesus’ time. For example, they believed that Jesus’ birth in Bethlehem, his lineage from King David, his miracles, and numerous events surrounding his death and burial were all fulfillments of ancient prophecies of a coming messiah. Finally, his followers believed in him because they were absolutely convinced that he had come back to life after having been dead and entombed. Our sources do not portray this as merely a vision or a hallucination. They say Jesus’ disciples conversed with him, touched him and even ate with him after his resurrection. Even highly skeptical scholars generally agree that Jesus’ earliest followers were absolutely convinced that Jesus had risen from the dead (the skeptics are quick to add, however, that this is impossible since dead people never come back to life). Christians later in the first century could also point to the fact that Jesus had predicted the destruction of Jerusalem and its temple, which actually came to pass forty years after Jesus’ death. So for whatever reasons, Jesus’ followers were so convinced that he really was who he claimed to be that they risked everything, including imprisonment, torture, and even death to follow Jesus. So what were some of those commands? Jesus taught that people must repent of their sinfulness. They must love God even more than they love to live and they must love their neighbors—and even their enemies—as they love themselves. Jesus expected his followers to treat others as they themselves would want to be treated. His followers were to strive to live a lifestyle of compassion, love, generosity, forgiveness, worship and prayer. They were to be honest, ethical, moral and merciful. They were to encourage others, make peace and make disciples. They were to avoid sin like the plague and to sincerely repent when they failed! But following Jesus went deeper than just obeying some rules. Jesus taught his disciples that love for God and his kingdom was to be their highest priority. Jesus taught that God’s kingdom was even more important than their closest relatives and loved ones. On this much, even most critical scholars agree. What many critics miss, however, is that Jesus claimed to be the king of that kingdom. 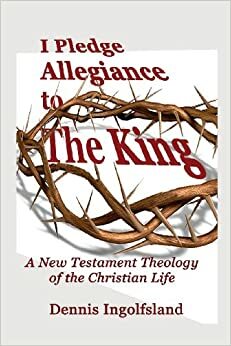 Putting the kingdom first, meant putting the King first—and Jesus and his followers believed that Jesus was that King. With teaching like this, it is no wonder that Jesus’ enemies thought he was crazy and it is no wonder that the Romans crucified him for sedition. It is also no wonder that those who believed in him would lay down their lives for him and await his promised return. Again, the story makes perfect sense historically. But there is more. Jesus taught that unless people’s righteousness exceeded that of the scribes and Pharisees they would not enter the kingdom of God. That was difficult for most of Jesus’ contemporaries to comprehend because Pharisees were respected religious leaders who strived to keep all the rules—and some were apparently quite proud of it as they self-righteously looked down their noses at others! For example, Jesus once told a story about a Pharisee and a tax collector who went to the temple to pray. In those days people looked up to Pharisees but they hated tax collectors who were hired to collect taxes for the Roman occupiers. In Jesus’ story the Pharisee bragged about fasting twice a week and giving money to the poor. He thanked God that he was not like that sinful tax collector. The tax collector, on the other hand, beat his chest in remorse crying “God be merciful to me a sinner.” Surprisingly, Jesus said it was the tax collector who was declared right with God and not the Pharisee! The moral of Jesus’ story is that those who self-righteously come to God thinking they are good enough for God—are not good enough, and will not enter God’s kingdom. Jesus taught that those who are “justified” or declared to be in right standing with God are those who come to God humbly confessing their sin and who follow Jesus in faith. People often misunderstand the nature of this faith. The faith of which Jesus spoke was more than just mental agreement with some doctrines or dogmas. Faith involves the disposition or attitude of the heart. One of the early sources about Jesus contains a story of how Jesus was sharing a meal with a group of religious leaders when suddenly a woman came in. The woman was crying. Since she was described as a sinner in the story (four times! ),and since no other reason for the tears were given, and since the ultimate result was forgiveness of her sins, readers are led to believe that the woman was sorrowfully repentant for her sin. The woman ignored the religious leaders and went straight to Jesus. Showing remarkable humility and devotion, she got down on her knees as she kissed Jesus’ feet, anointed them with ointment and wiped them with her hair. The host, a Pharisee named Simon, was indignant: If Jesus were a prophet, surely he would know this woman was a sinner and he wouldn’t allow her to touch him! Jesus pointed out that when he had come in to Simon’s house, Simon had not even extended the basic courtesies of hospitality to Jesus, whereas this woman had wet Jesus’ feet with her tears, wiped them with her hair and anointed them with oil. Jesus said, “Therefore I tell you, her sins, which are many, are forgiven—for she loved much.” Then he told the woman that her faith had saved her. But wait! What faith? Nothing in this story said anything about faith. The story leads readers to understand that this woman’s sorrow or repentance over her sin coupled with her loving devotion to Jesus is the very definition of the kind of faith necessary to enter the kingdom about which Jesus had preached so often. The actions of the woman were outward expressions of a heart of faith. The concept of faith, therefore, is very simple. It is about a relationship in which we—like the woman in the story—respond to Jesus in genuine repentance for our sin and with a heart of loving devotion to Jesus. Like salt, faith is very simple. But just as a simple substance like salt can be broken down into the elements from which it is composed, so also saving faith can be analyzed and broken down into parts. First, saving faith includes repentance. Repentance is a “no excuses” attitude that involves coming to grips with the fact that our sin is not just a mistake, or the result of our environment, or someone else’s fault. Repentance involves a humble and sorrowful acknowledgement that we have willfully sinned against a holy God, combined with a desire to live a life that pleases God. Second, saving faith involves recognition that our sin has destroyed our relationship with God and no amount of good deeds on our part will ever make it right. If we are going to be saved from the wrath of God at the final judgment, about which Jesus warned, it will only be by God’s mercy and grace. Like the story of the Pharisee in the temple, as long as we think we are good enough for God, we will not enter God’s kingdom. Third, Jesus believed that his death would bring about forgiveness of sins for his followers. Jesus and his followers seemed to believe that Jesus was fulfilling an ancient Jewish prophecy—written hundreds of years before Jesus’ time—about a “servant” of God who would be “pierced for our transgressions” or sin, and whose death would “justify many.” Faith involves recognition that Jesus’ death on that cross was not just Roman cruelty but was the “ransom” to pay the penalty for our sin so we could be “justified” or declared right with God. Finally, faith involves a heart response of loving devotion to Jesus as the only one who can fix our broken relationship with God. This “love” is not some kind of gushy sentimentalism that imagines us snuggling up in Jesus’ lap or some such nonsense. It is more like the undying devotion a soldier might have toward a respected general or leader—a devotion that would motivate the soldier to willingly follow that commander anywhere, even into the heat of battle. This kind of faith involves swearing allegiance, so to speak, to Jesus as the King and highest authority in our life. First, find a Bible-believing church. You need to be associated with other believers to grow in your faith. Let the pastor know you are a new Christian and want to grow. Second, ask your new pastor to baptize you. We don’t get baptized in order to be saved—the only thing required for salvation is faith, but the idea of an unbaptized Christian would have been unthinkable to the earliest Christians. Baptism is the initial outward expression of your faith and a public indication that you are serious about your commitment to Christ. Third, start developing a life of prayer. Prayer is not nearly as complicated as many people make it out to be. Prayer is just talking to God like you would talk to a friend. You don’t need to use special religious language. You don’t even need to talk out loud. Just talk. You can talk to God anytime, anyplace, about anything. Forth, start reading the earliest sources about Jesus for yourself. You’ll find most of them conveniently collected in the New Testament of the Bible. If you get a good “study Bible” the footnotes will help you better understand what you are reading. Your new pastor can recommend a good study Bible. Finally, as you read your Bible strive to put into practice what you learn about living in obedience to Jesus the King. We don’t strive to please God in order to be saved. We strive to please God in gratitude and loving response to his saving grace. 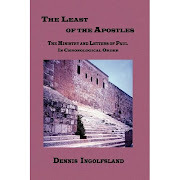 Nearly all scholars agree that the earliest sources about Jesus—all written in the first century AD when Jesus lived—are 1) the letters of the apostle Paul, 2) the Four Gospels collected in the New Testament, 3) a lost Gospel we now call Q, though some scholars doubt this ever existed 4) other letters collected in the New Testament, 5) two short blurbs written by the Jewish historian, Josephus and 5) the letter of Clement of Rome to the Corinthians. Nearly all scholars agree that all of the so-called “lost gospels” come from at least 100 to 400 years after Jesus’ time and are of little to no value in reconstructing the life of the historical Jesus. Matthew 10: 15; Luke 12:48. Luke 7:37; 39; 47, 48. Colossians 1:10; 1 Thessalonians 4:1; Hebrews 3:20-21.